Fujian people cannot have a meal without soup. They may be the biggest “soup fans” in all of China. So Fujian chefs have a reputation for being soup experts. Fujian-style soups are slightly different to Guangdong or Cantonese-style soups, which are also very famous. 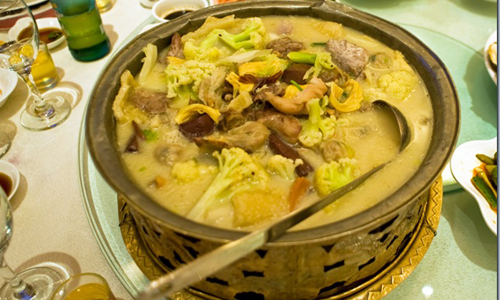 Cantonese-style soups are generally thicker and take longer to cook than Fujian-style soups. Since they are a staple dish in every meal for an average Fujian family, most of the homemade Fujian-style soups are easy to make. However, even the simplest Fujian-style soup has at least five ingredients. The mixture of ingredients used in any Fujian-style soup is considered by many to be a work of art. The combination of ingredients is not just chosen because of its delicious taste, but also because of its health benefits. 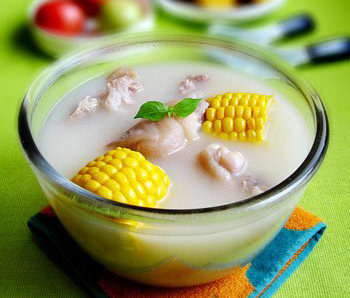 Physical health is always the key aim for the Chinese when it comes to drinking soups.